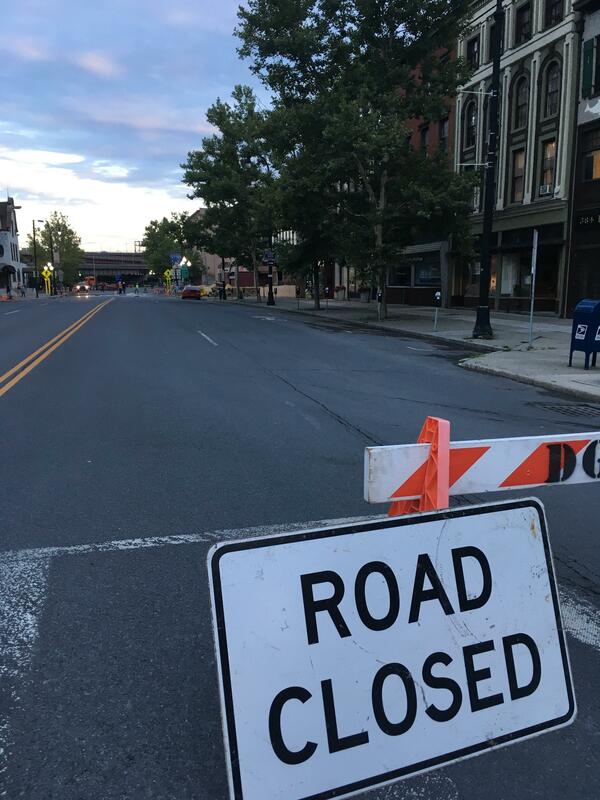 Updated August 3, 2018 7:20 a.m.
One of the busiest streets in downtown Albany was closed Thursday amid fears of a building collapse. 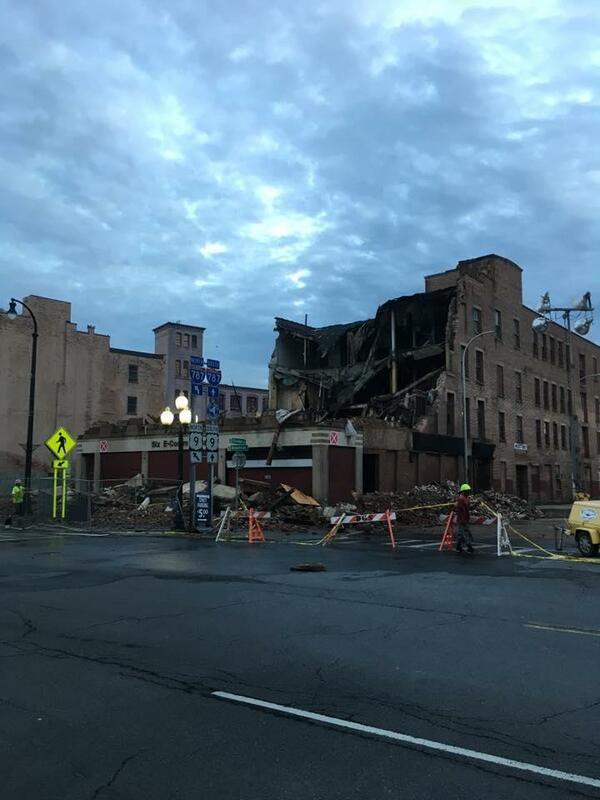 The roof at E-Comm 6, the site of the abandoned plan for the Albany convention center, was caving in, according to a drone video released by the Albany County Sheriff. 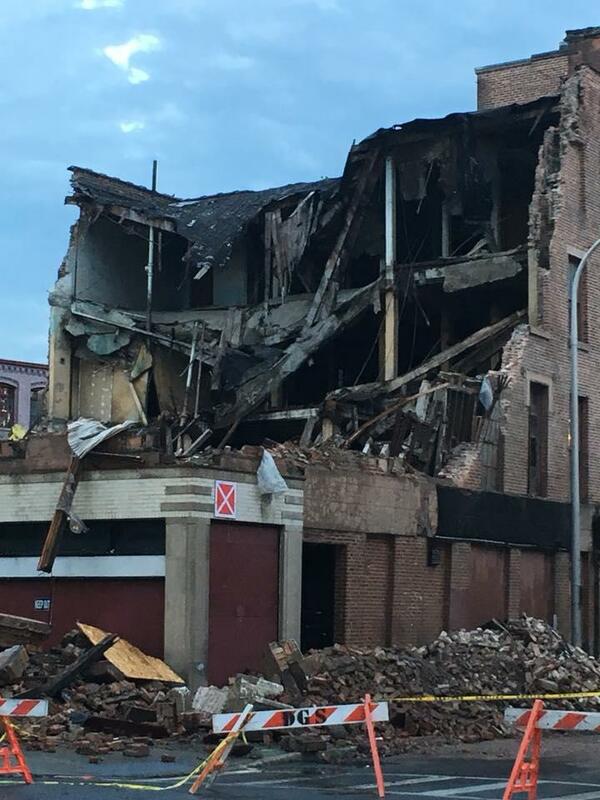 Police closed off an area of Broadway Thursday after the city was told the building will have to be demolished. By Thursday evening, most of the top of the building was already gone. The road was reopened Friday morning.